The visit of The British Prime Minister to China comes at a very relevant time for both countries. China is about to enter the phase of New China as it commences its final stages towards its 2021 target of being a medium-sized developed economy. Following the first phase, which based the economy on freeing the productive powers of agriculture and building manufacturing to a modern form using low cost exports as the step, China now moves towards a domestic consumption and neighbour-focused phase. Using the market economy guided by the Party and state, China will free more and deeper productive forces in manufacturing, agriculture and the emerging service industries. The changes of China today can be seen best by learning from the lessons of 1978 and its Third plenum. It was only in hindsight that its visionary essence could be comprehended. Few observers had any inkling that it contained the policy drivers that would produce the world’s biggest exporter within 25 years. So today, as observers view the policy announcements of this Third Plenum, they would be wise to see it as unifying the research and experimentation of the last 10 years, which informed those policies. China spends a long time thinking through its objectives, then tests various ways to achieve them, finally amending its targets and resolving its ways forward. The implementation phase is managed carefully with structures designed to react to the unexpected, and change and amend policies. So China is now on its way to building Socialism with Chinese characteristics. Its essence is not very far from focusing on building a modern market economy with a strong emphasis on social justice, which many Western nations aspire to as well. Its manufacturing will be retained as a core element of the economy – no post-industrialisation reduction for China – and become modern, global and will eventually be a centre for innovation. Its agriculture, focused on food, will increasingly become large-scale with national ownership playing an emerging part. Its service industries serving agriculture and manufacturing and the needs of the people, will grow fast in the next 10 years. China’s global footprint will grow and grow, but be focused on its borders, its needs for resources, and its need for markets and returns. China was to a great extent outside the world for millennia, but now is inside the world and that is a change for Chinese leaders and thinkers, and a change for the world. Manage the change carefully and considerately, and the pie gets bigger and bigger. China knows that it takes focused leadership to go through the huge transformation it has embraced, and will embrace, from 1949 to 2049. So the Party takes the responsibility to lead the transformation of China and that produces a point of reference for foreign leaders to comprehend China, to talk with China, and to find the common ground for commerce and global outcomes. 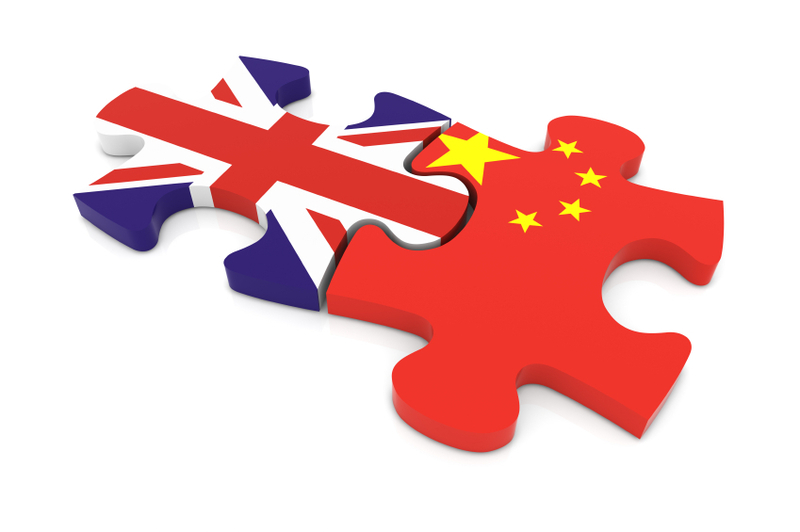 The United Kingdom provides major opportunities for China because it is very open to foreign investment and its financial markets play a leading global role. It also contains many large, medium and small companies whose skills and products will satisfy a China nation who are moving up the value chain in their tastes and needs. As two fellow members of the P5 Security Council of the United Nations they need to respect each other and be comfortable in engaging in matters of global dimensions, respecting each other’s different histories and ways. The world has to manage some huge challenges over the next years and it is vital that our leaders get to know each other better and each other’s nations more deeply. Through this process, and respect for each other, the two nations’ commercial relations can grow in ways unimaginable five years ago, and they can explore ways to provide welfare to their people fairly but at a manageable cost, and how to build their economies with foreign investment without losing control of their destinies. Sharing experience is the way forward. It enables nations to feel comfortable and explore possible outcomes. In a world of unbelievable speedy communications, we need to accelerate the intimacy of China and the UK through innovative means based on hugely increased movement of peoples between our nations, building on the good experience of Chinese students coming to the UK. The future is good for those able to see good and beneficial visions. Let’s wish our leaders all the success that both nations need.